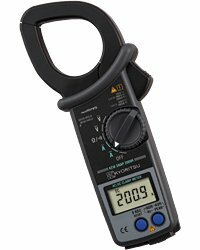 CAT.IV Clamp Meter can measure the Voltage and Current in both very low and high power circuits. • Accurate True-RMS reading of AC current or voltage with distorted waveform. • Can measure AC and DC currents up to 2000A.